North American Pronghorn are commonly called Antelope, yet they are not closely related to any of the world’s other antelope species. They are also the only horned animal in the world that sheds it’s horns each year. 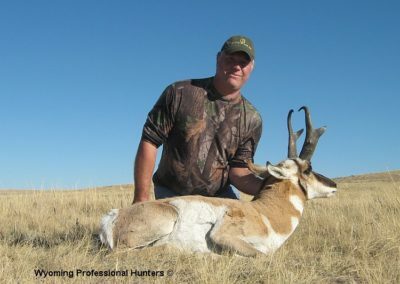 The name Pronghorn came from the flat prong or “cutter” that grows from the main beam of the male antelope’s horn essentially giving the antelope two points on each horn. 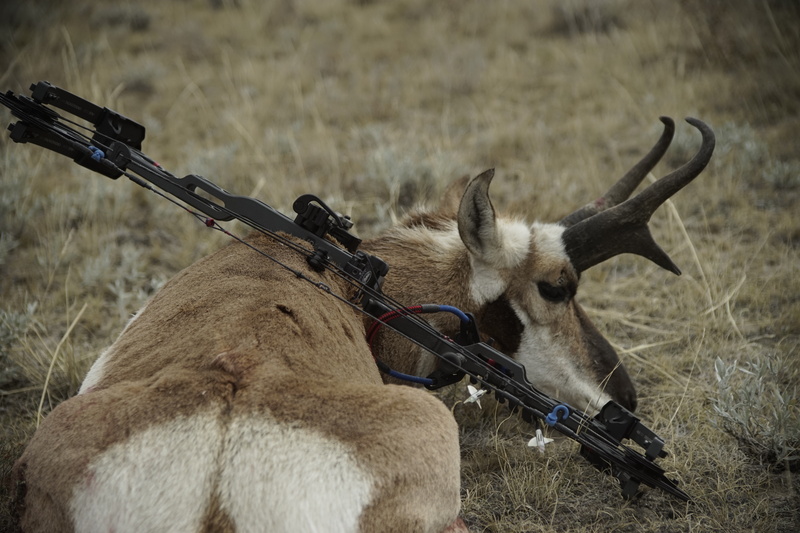 The antelope’s annual horn growth is based on a number of factors including age, genetics, the severity of the growing cycles, winter and the availability of nutritious food sources. 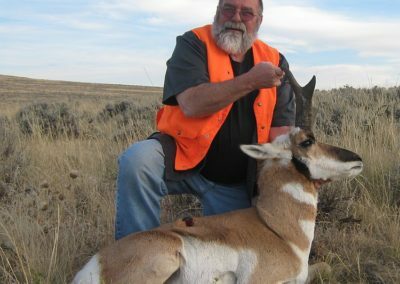 The difference between a good and a really great antelopes buck’s score can often be measured in fractions of an inch, field judging Pronhorn takes a trained and experienced eye. Our game management practices, high buck to doe ratio and our modest harvest allows many of our buck to reach full maturity and their full horn growth. 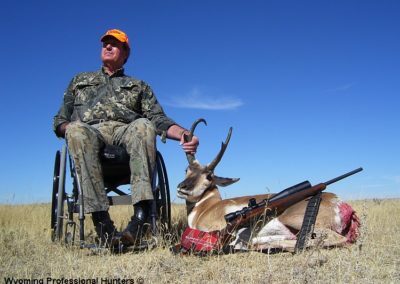 As witnessed by the fact that our clients have taken over 60 buck antelope in the last 13 years that were large enough to exceed the Boone & Crockett minimum, while the rest of the bucks our clients took were generally well above average and would be considered trophies in themselves. 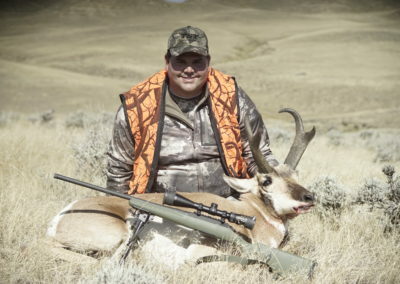 The following photos are a good cross section of the Antelope bucks that our client have taken over the last five season with Wyoming Professional Hunters.